Gimp I seen a thread across the creek . the dude says gordon co. has plenty hogs these days. he had pics at his feeder with 8 or 10 eating like pigs said it was in fairmount I am pretty sure. 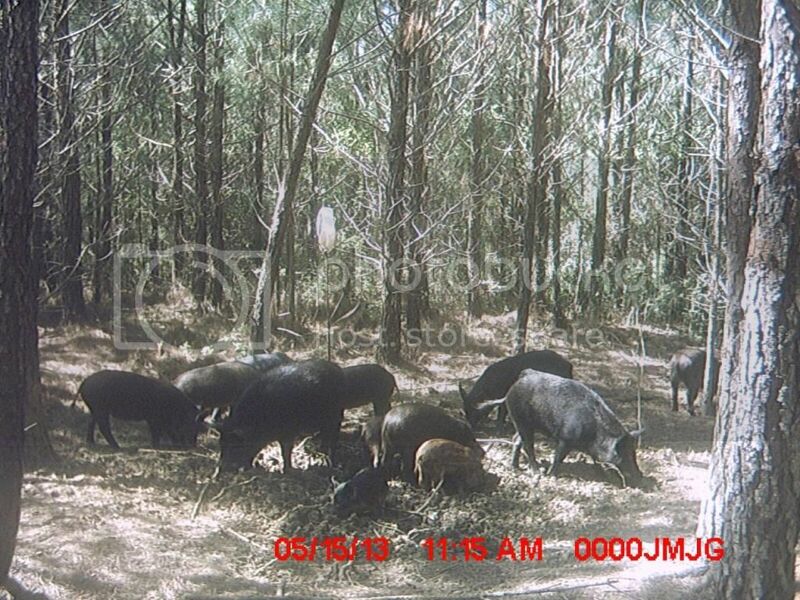 Hogs eating like pigs. I bet that was a sight to see! Yeah, i would say he is covered up I PMd him to find out where his club is. I think I know where the club is. its about a mile behind my house. Need us to come cut you a trail? Who is going to cut the trail for you? Did you kill one yet?